Ensuring that all properties have house numbers displayed assists first responders in being able to quickly respond to emergency situations. In fact, this provision is so important that it has been a requirement in the City of Goodland since 1972 (Ord. 884) and carries a misdemeanor and fine of $25 per day for violators. Beginning October 1, 2018, properties without house numbers displayed will be subject to this enforcement. 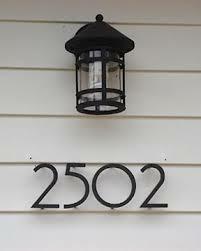 However, the City of Goodland will be offering free house numbers to property owners while supplies last. If your property is not in compliance with this requirement, stop by City Hall during regular business hours to collect your house numbers.